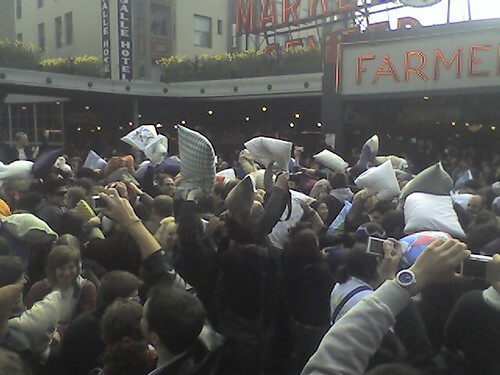 Pike Place Market pillow fight! Pike Place Market pillow fight!, originally uploaded by krow. Do they allow feather-free pillows?